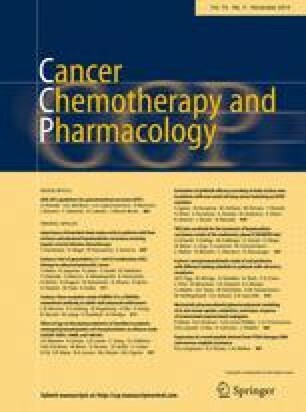 To determine the maximum tolerated dose (MTD) and preliminary efficacy of concurrent hepatic arterial infusion (HAI) of floxuridine (FUDR) and systemic modified oxaliplatin, 5-fluorouracil and leucovorin (m-FOLFOX6) in Chinese patients with unresectable hepatic metastases from colorectal cancer. Thirty-five patients with unresectable liver metastases with or without extrahepatic disease were treated with concurrent HAI and systemic m-FOLFOX6. HAI FUDR was delivered in a 14-day infusion with escalating dose levels, and each cycle was repeated every 4 weeks. The MTD for FUDR was 0.12 mg/kg/day when combined with systemic m-FOLFOX6. The dose-limited toxicities were neutropenia (8.6 %), alanine aminotransferase/aspartate aminotransferase elevation (5.7 %) and diarrhea (11.4 %). The overall response rate was 68.6 % for hepatic metastases and 14.3 % for extrahepatic metastases. The median progression-free survival and overall survival were 8.23 and 25 months, respectively. The recommended dose of FUDR was 0.12 mg/kg/day when combined with systemic m-FOLFOX6. This combination achieved a high response rate in hepatic disease and a high control rate in extrahepatic disease. Further study is needed to assess the potential additional value of HAI therapy in converting patients with hepatic metastases to candidates for resection. Cong Li and Yangkui Gu are both first authors. This clinical trial is funded by single disease fund of Sun Yat-Sen University Cancer Center.